International law? What international law? Heaven forfend the sitting president and his coterie should violate international law ... unless they want to. And they want to. A Salvadoran mother who applied for asylum as part of a caravan of Central Americans that traversed Mexico for the United States this spring has had her two sons removed from her custody and placed in the care of the federal government in New York. Except the woman had arrived at port of entry, applied for asylum, and passed the first step in the process. Immigration and Customs Enforcement gave her 10 minutes to say goodbye to her children. The Trump Justice Department is separating children from their parents at the border under the pretext that this always happens when someone has violated the law. In this case, by crossing into U.S. territory and asking for asylum. Under the DOJ's reading of law, they entered the country illegally, thus committing a crime. 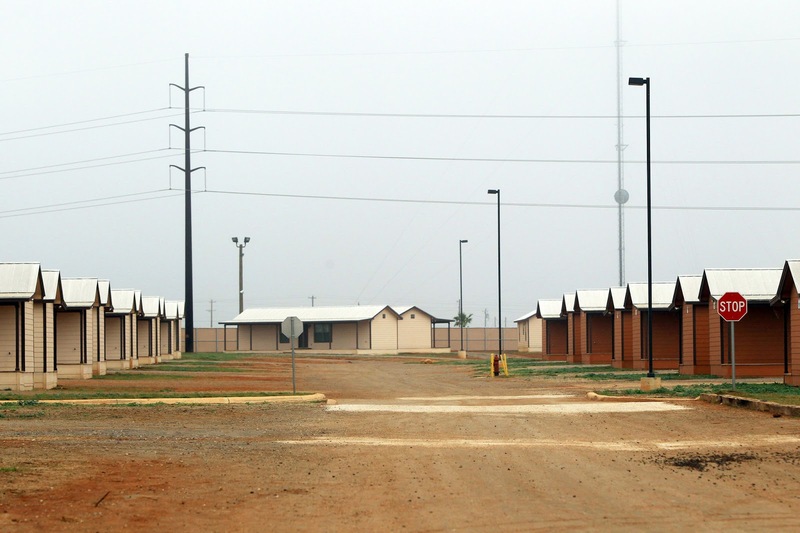 Their arrests create "unaccompanied minors" the Office of Refugee Resettlement then houses separately, often states away and without specifics on their whereabouts given to the parents. Or DHS claims it cannot ascertain the parental relationship to justify the separations. Trump takes no responsibility for his own policy, blaming “bad laws that the Democrats gave us.” Laws the administration cites to justify the actions do not. The administration is unapologetic. "If you don’t want your child to be separated, then don’t bring ‘em across the border illegally. It’s not our fault if somebody does that,” Attorney General Jeff Sessions said in a May statement. He characterizes women with children fleeing danger in their home countries as "smuggling a child." Except under international law, signatories to the Convention and Protocols Relating to the Status of Refugees "shall not impose penalties, on account of their illegal entry or presence, on refugees who, coming directly from a territory where their life or freedom was threatened." The U.S. is a signatory. Donald Trump might call a bad deal, but it is a binding one. According to the D.H.S., six hundred and fifty-eight children were separated from their parents between May 6th and May 19th. Reports have surfaced of children, some as young as toddlers, being wrested from family members, and of parents being deported before they could locate their children, who remain stranded in the U.S. “Little kids are begging and screaming not to be taken from parents, and they’re being hauled off,” Lee Gelernt, a veteran attorney for the A.C.L.U., told the Washington Post. “It’s as bad as anything I’ve seen in twenty-five-plus years of doing this work.” Research has shown that removing a young child from her primary caregivers for even a short period can cause long-term psychological harm. It is not clear from reporting I've seen how many of the arriving families are claiming asylum. Building on a complaint filed in July, the suit argues CBP officials at numerous ports of entry, or POEs, throughout the southwest have displayed a similar set of “unlawful practices” designed to deny individuals their right under the law to apply for asylum. The class action lawsuit alleges violations of the Immigration and Nationality Act, the Administrative Procedures Act, the Fifth Amendment, and the Non-refoulement doctrine that under international law prohibits repatriating asylum seekers to countries where they face danger of persecution. Iniguez-Lopez went on to say that the practice of turning asylum-seekers away at ports of entry in his area of the country appeared to begin in early December. One of the first of those incidents, he explained, involved a mother from Central America seeking asylum with her family. The immigration officer who met with the family at the port of entry “said that under the orders of Donald Trump, there’s no more asylum for mothers with children, and the response of the mother was to say the Trump administration, they’re not even in power, they haven’t been inaugurated. So she knew more government 101 than the officer himself,” Iniguez-Lopez said. 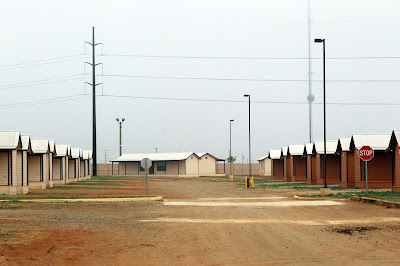 The Obama administration began housing immigrant families at the facility pictured at the the top. Treatment by facility staff was bad enough then. The Trump administration has decided to play faster and looser with U.S. law by prosecuting asylum seekers as criminals to justify separating parents from children. This, despite the fact that prosecuting asylum seekers is a violation of international law. Sobbing, she described the separation from her children as traumatic after the weeks-long bus, train and walking journey across Mexico to reach the United States. To the Trump administration, Jeff Sessions included, they are nits.